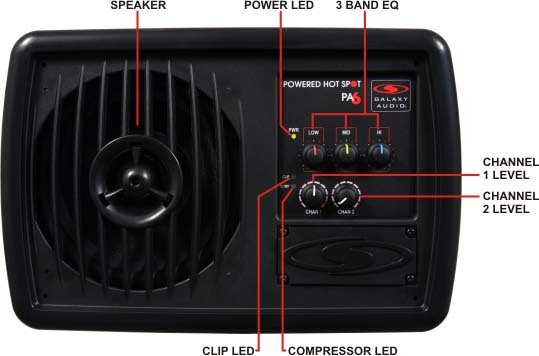 THIS PRODUCT HAS BEEN DISCONTINUED AND REPLACED BY THE PA6BT. Over 30 years ago Galaxy Audio pioneered the small PA/personal monitor category with the innovative product called the HOT SPOT. 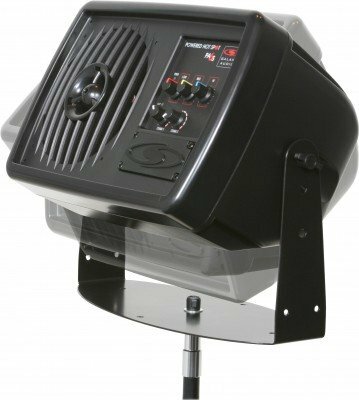 Through the years we've offered groundbreaking designs in both powered and unpowered models. 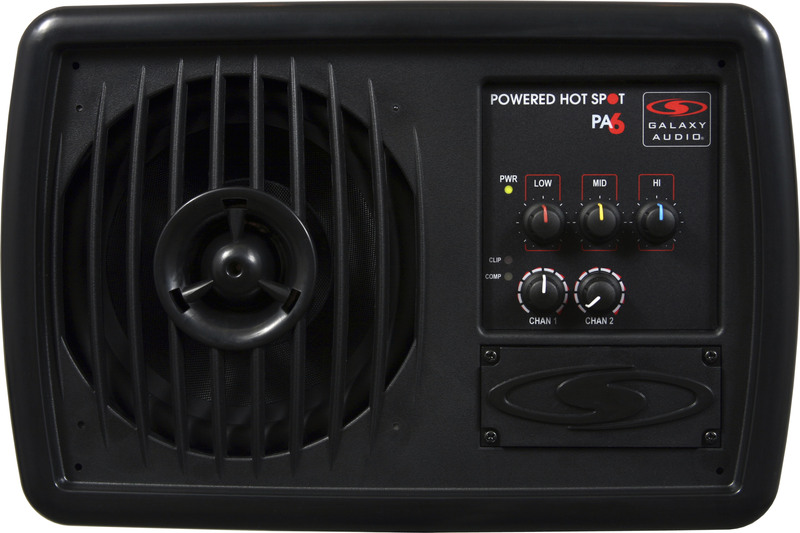 The all new redesigned Galaxy Audio PA6S is the newest powered model in the Hot Spot line since 1998. While the PA6S has been redesigned from the ground up, we have kept the basics. The newly designed outer shell has kept the distinctive shape of the original Hot Spot, but with a 21st Century look. 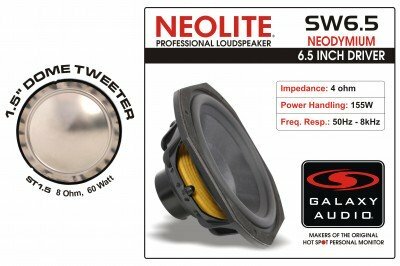 The cabinet now uses two specially designed speaker components, the new 155 watt NEOLITE 6.5" Woofer and our highly efficient 1.5" 60 watt Tweeter. 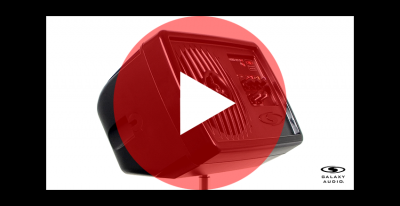 The PA6S takes full advantage of recent improvements in speaker and amplifier technology, making it the lightest, most powerful, and best sounding compact PA system we've ever offered. 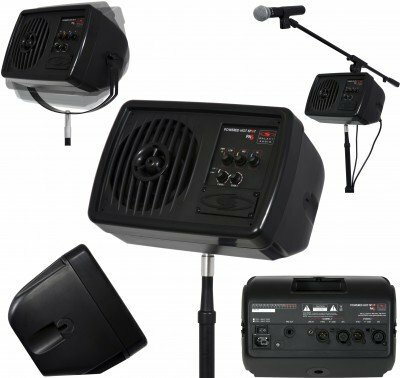 New features such as the XLR pass-through on each channel allow independent control of mics without affecting the signal sent to the house PA. A –20dB Pad switch on each XLR input ensures that even the hottest signals will be accepted without overdriving the inputs. 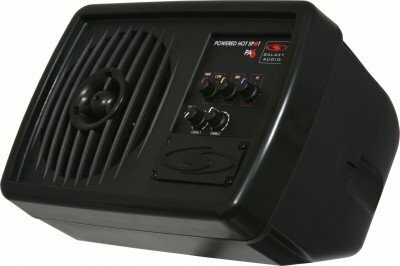 An additional 1/8” Line input on Channel 2 will accept stereo or mono signals from sources such as tape or digital medial players as well as line level instruments. The new two-way speaker system gives the PA6S a much wider frequency response than earlier models. This means that full range music, such as keyboards or backing tracks, will come through with solid bass and crisp highs. 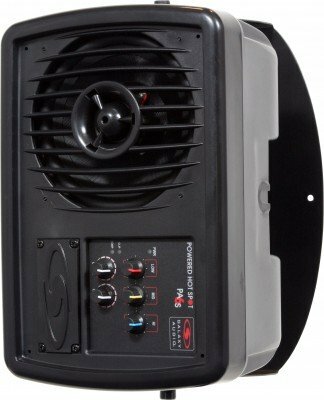 This enhanced frequency response makes the PA6S a great stand-alone PA system for small club gigs as well as lectures and A/V presentations. Plus a simple adjustment of the 3-band EQ can alter the response for singers who love the time-honored accentuated midrange of the classic Hot Spot vocal monitor. The PA6S gives you the best of both worlds. 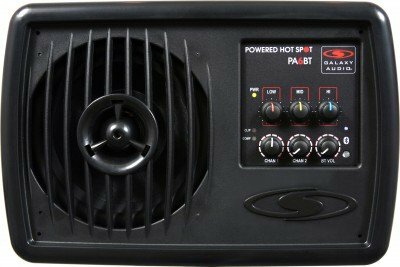 The PA6S has a built in 170 watt amplifier designed to handle the most demanding audio situations. 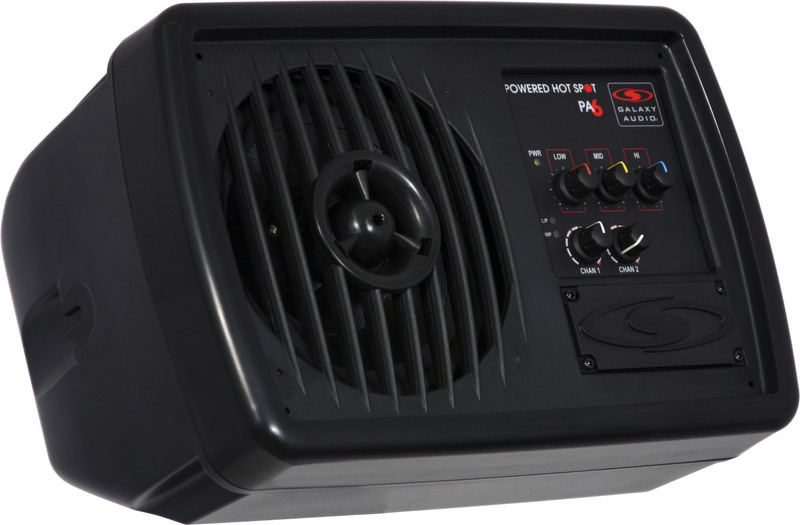 This high tech Class D amplifier produces plenty of power to cover a wide variety of applications. 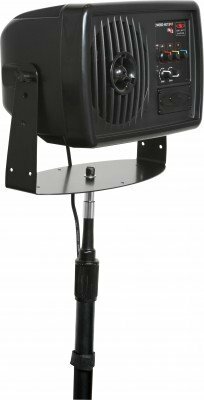 This design allows the PA6S to function both as a stand-alone PA system and as a high-powered vocal monitor to cut through loud stage volumes. 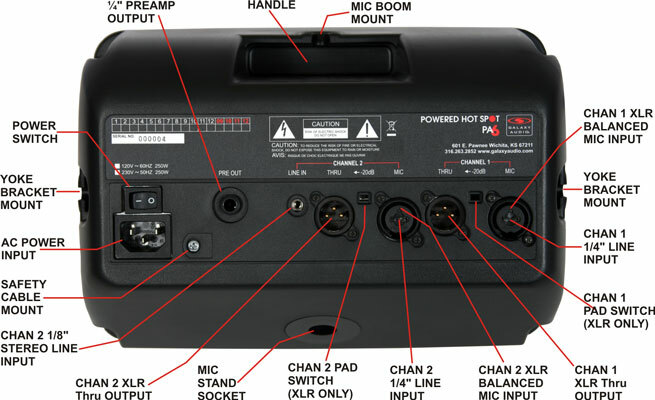 For larger gigs that require more coverage, you may simply patch from the Preamp Output to the main house PA, while using the PA6S as your onstage monitor. The PA6S also features a built in 18dB Compressor/Limiter circuit with Compressor and Clip LEDs. 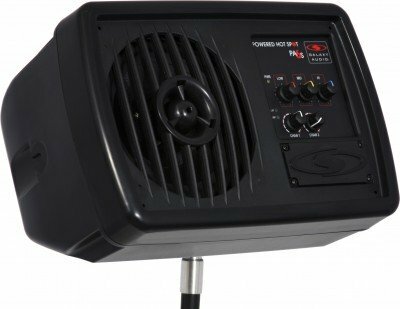 The Compressor acts to smooth out transient peaks in the signals, thus improving overall sound quality and increasing apparent volume. 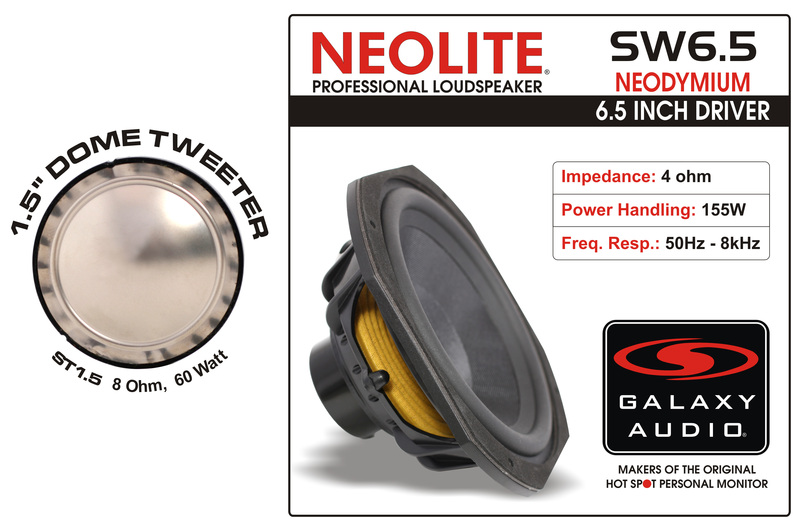 The Limiter helps protect the woofer and tweeter from being damaged by amplifier distortion. 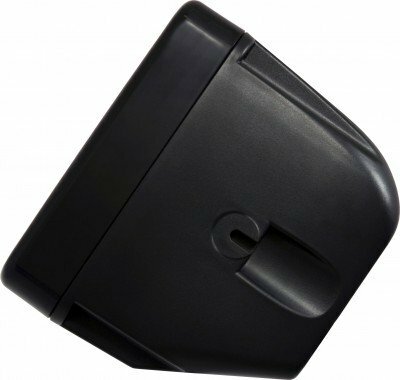 The Clip LED indicates when a reduction in volume is recommended. "After years of wishing for a small powered speaker for my small private gigs and rehearsals, my dreams have been answered a hundredfold. 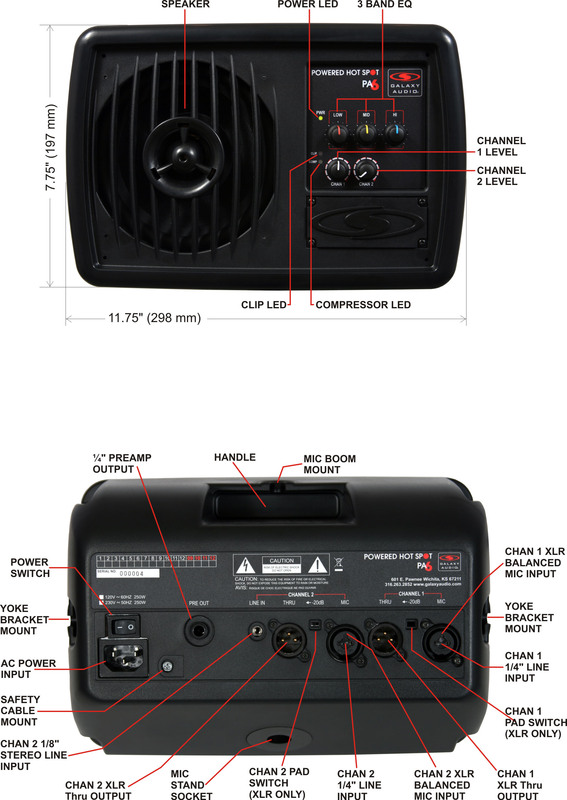 The Galaxy PA6S is simply the best small monitoring system that I have ever heard that is on the market today. I am able to play 6-7 note Full piano chords, organ and synth leads at sustained high levels without ANY distortion, yet maintaining a brilliant clarity that fills rooms much larger than I thought capable of. Nothing… I mean NOTHING, gets close! I am a Galaxy fan for Life!" 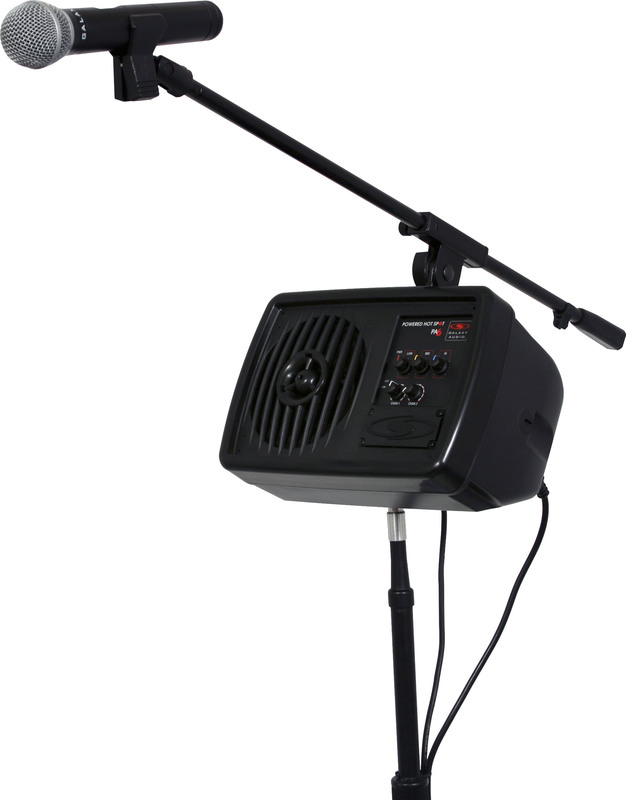 MIC BOOM ADAPTOR: mounts to the top of a PA6BT, PA6S, PA6SR or HS7. This adaptor allows most microphone booms to be mounted on the top of the Hot Spot to eliminate the need for a stand for the Hot Spot and a stand for the microphone and boom. Works With 3/8" & 1/2" mic boom. 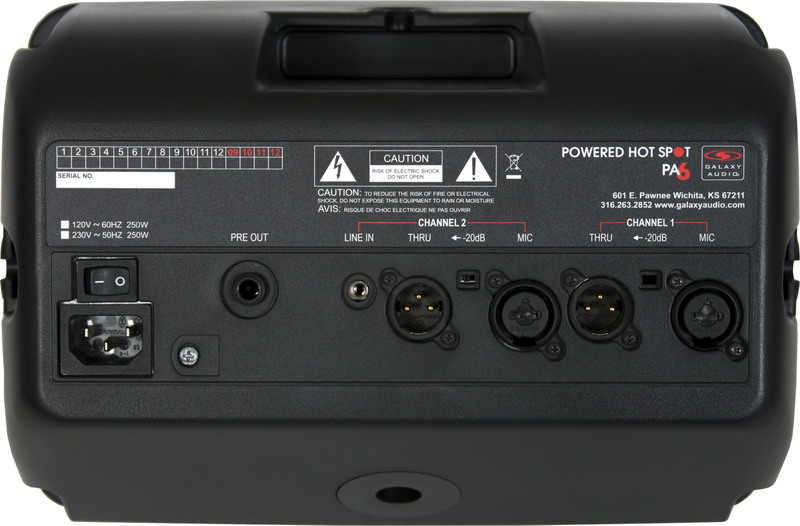 The PA6S powered monitor makes for a unique keyboard monitor when performing live club/concert gigs. 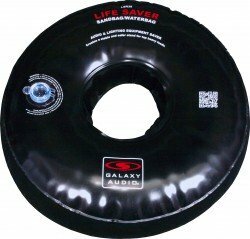 When affixed to my keyboard stand via the SA-1 adapter (and KSA7575 from another mfg), I have an extremely powerful and easily adjusted source of my keyboard sound and does not add to my stage footprint. 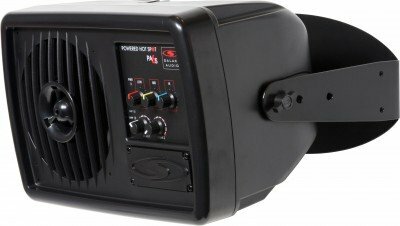 No matter who or what I have to contend with on any stage; Indoors or out, loud drummers, full-stacks of amps, with or without a sound engineer... I have a reliable and consistent keyboard amp. 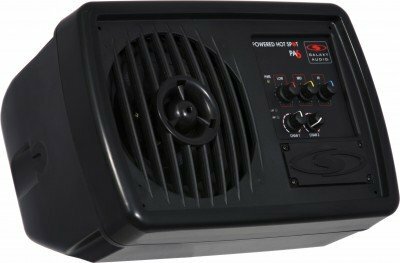 The PA6S does not offer the 3-D sound of a Leslie or 'chest-thumping' lows of a full-range cabinet (let the PA system handle those matters), but it is a monitor and I never have to struggle to hear exactly what I'm playing... with 170 WRMS right at my fingertips and in my face. I also discovered it to be a successful vocal/acoustic guitar monitor when used as part of my 'coffee house' rental PA system. I get lots of compliments from rental clients who have no experience with 'Hot Spot' style monitors! 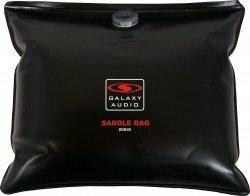 The reasons I selected the PA6S monitor over the competitor's models was due to several engineering/design features I felt were more desirable and my past experience in the field with other Galaxy Audio products. I have been using the PA6S personally (and as a rental unit) for several years now without any issues.